Every so often we read exciting headlines proclaiming that the "world's oldest this or that" has been discovered by archaeologists. In 2005, for example, Chinese media declared that the "world's oldest observatory" had been found at Taosi in the Shanxi Province, dating to some 4,100 years ago. Other recently discovered sites have also been pronounced the "world's oldest astronomical observatory," including one in Goseck (below), Germany, that was founded almost 7,000 years ago and that likewise is astronomically aligned, causing it to be called a "sun temple" as well as the "German Stonehenge." In the past century or so, the original Stonehenge itself has also vied for the title of "world's oldest observatory," with construction beginning around 4,000 to 5,000 years ago. 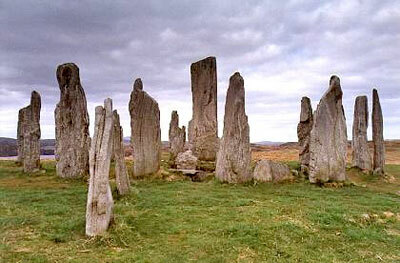 Older than Stonehenge too are the Standing Stones of Callanish (above) in Scotland, dating to around 2900-2600 BCE, which are aligned to the winter solstice and other phenomena. 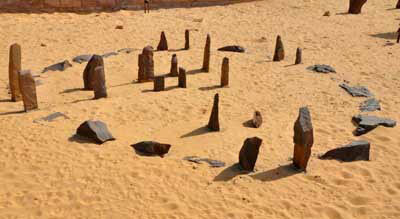 "one of the world's earliest known examples of archeoastronomy." 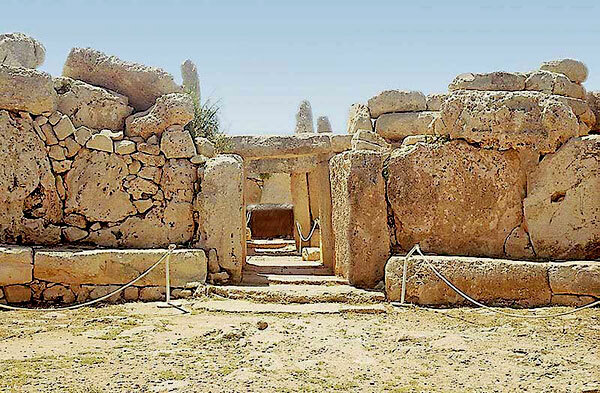 Another astronomically aligned temple site is that of Mnajdra on Malta (below), parts of which date to nearly 6,000 years ago. One of the oldest known sacred sites in the world, the 11,000-year-old ruins at Gobekli Tepe, Turkey - styled the "world's first temple" - may also prove to be astronomically aligned. More recently, a site at Qarahunge in Armenia, also known as Zorats Karer (below), is likewise being claimed as the "world's oldest observatory," evidently dating to around 4,500 to 7,600 years ago, according to Armenian astronomer Paris Herouni. "clearly pointing to the sun on the summer solstice day." Herouni further speculates that the ruins represent a temple to the sun god Ari. Some of Herouni's contentions are backed by Oxford University astrophysicist Mihran Vardanyan, the leader of the joint expedition to Qaranunge by Oxford and the Royal Geographical Society who asserts that Qarahunge represents the "oldest observatory in the world." "was not only used for observing astronomical phenomena but also for sacrificial rites." This fact falls in line with ruins around the world that both are astronomically aligned and evidently served as religious sites or temples, thus revealing their astrotheological purpose, referring to the ancient worship or reverence of the sun, moon, planets, stars and constellations. The Chinese site possesses 13 sighting stones, with 12 gaps between, demonstrating a common theme found in many places and traditions reflecting the months of the year. "The ancient people observed the direction of sunrise through the gaps and distinguished the different seasons of the year." 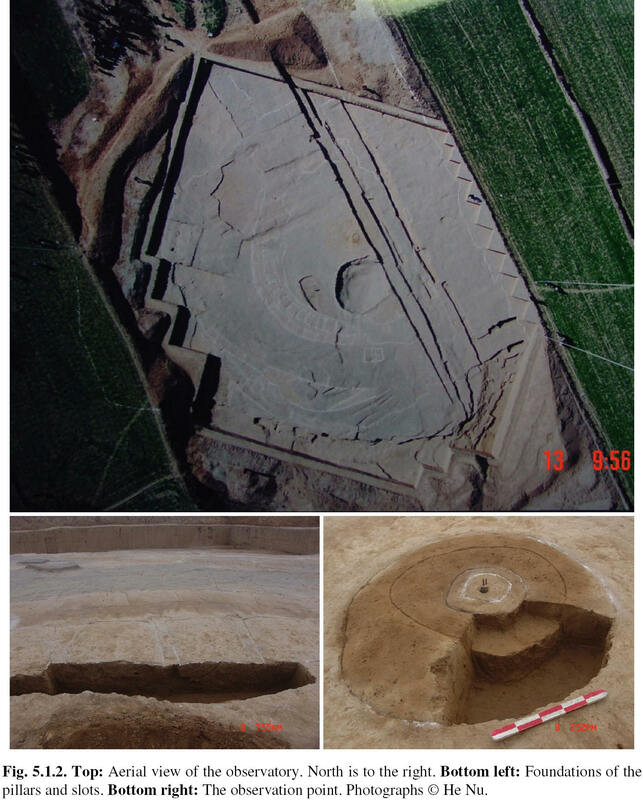 Concerning the Taosi site, we further discover that "some of the astronomers believed that it might also be used to observe the moon and stars," another common development at locations globally dating back thousands of years. "through the southeast and southwest gates." The site also measures various lunar observations, all in a religious context, once again revealing ancient astrotheology. 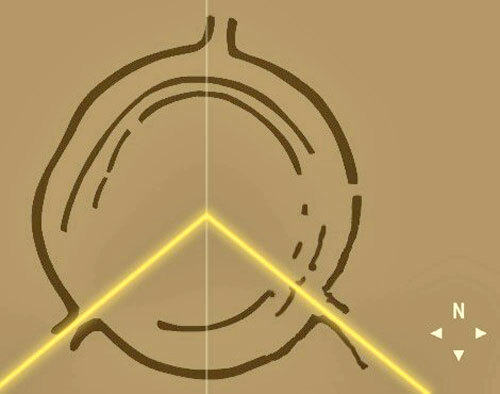 The same can be said of the complex "astronomical computer" of Stonehenge, which likewise evidently served as both observatory and temple, as did many other such ancient archaeological sites around the British Isles and the rest of the world. “The most commonly accepted theory about Qarahunge is that it is an ancient burial ground, or necropolis - a place to act as a bridge between the earth and the heaven in the cyclical journey of the soul involving life, death and rebirth. The necropolis thesis is certainly true, but after our initial investigations of the central circle, it is clear the site was aligned to the sun, most likely aligned to the moon and - what is really exciting, possibly to some stars or planets - owing to the placement of small holes drilled through the monoliths and aimed to the horizon." "It is incredible how rich the Neolithic and Bronze Age collection is here at the National Historical Museum. The most exciting find for me was a Bronze Age Model of the Solar System, which has the sun, the moon and five easily observable planets suspended above rings of concentric circles, representing the earth, separated by a double headed axe. 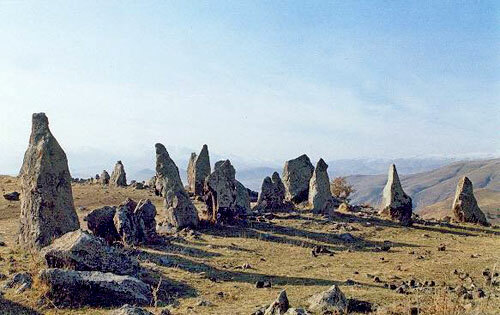 In addition to show how important the sun, the moon and planets were to people who were probably using the stone circle at Qarahunge as a ritual site..."
As we can see even from this crude yet purposeful construction in Armenia, the ancients evidently felt compelled to mark these significant times of the year, in an apparently religious context, indicating just how important they were. 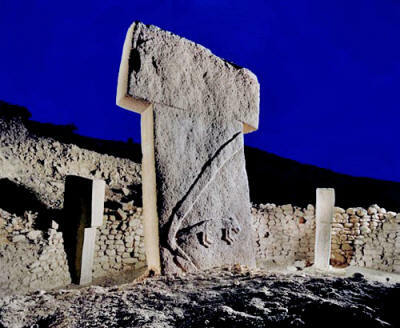 The magnificent, elegant and sophisticated site at Gobekli Tepe in Turkey has apparently not yet been examined thoroughly by archaeo-astronomers, but it would not be surprising if it too were astronomically aligned in the manner we see at ancient megalithic sites globally, including in the Americas as well. From cave paintings, statuary, "calendar sticks" and other artifacts dating to tens of thousands of years ago, we know that even more ancient cultures possessed important astronomical knowledge. Many of these artifacts also appear to have religious value as well, additionally pushing the astrotheological religion back by millennia. Moreover, as indicated by the fact that there is apparently another site some 50 miles from Gobekli Tepe dating to the same era, it is clear that we have only discovered the tip of the iceberg of humanity's long and fascinating journey on planet Earth. Gobekli Tepe - The World’s First Temple?